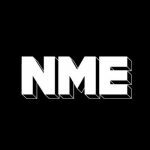 NME Radio‘s Iain Baker grabbed Pavement guitarist Scott Kannberg for a chat ahead of the lo-fi legends’ London show tonight (May 11). You can stream the interview below. Meanwhile, pick up the new issue of NME for an in-depth Pavement feature.